What are Rates and Charges For? How is the Differential General Rate Calculated? How does Council calculate all other Rates and Charges? What is the Emergency Management Levy? What Can I do if I cannot pay by the Due Date? Am I entitled to a discount for prompt payment? Am I entitled to receive a Pensioner Rate Rebate? Note: If you are paying your rate notice/water consumption notice electronically using either BPay, telephone or online you will be required to enter a Biller Code as well as a reference number. Please ensure that you enter the correct numbers shown on the front of the rate notice. It is strongly suggested that BPay and BPoint payments not be left until the last few days. Electronic payments processed by your financial institution or bill payment service after the nominated payment cut-off time on the due date will not be eligible to receive discount. Mail: Detach the bottom portion of the notice, make cheque/money order payable to Banana Shire Council marked "NOT NEGOTIABLE" and mail to The Chief Executive Officer, Banana Shire Council, PO Box 412, Biloela QLD 4715. If mailing your remittance please allow sufficient time for your payment to reach the Council Office before the closing date. It is strongly suggested that payment is not left until the last few days, as Council does not accept responsibility for postal or unforseen delays. Council's Administration Office, 62 Valentine Plains Road, Valentine Plains, Biloela between the hours of 8.00am and 5.00pm, Monday to Friday. Taroom Office, 18 Yaldwyn Street, Taroom between the hours of 8.00am and 5.00pm, Monday to Friday. Council will accept payment in person by Cash, Cheque, Money Order, Visa Card, Master Card and EFTPOS (no cash out). Agency Payments: The rates notice may be paid by cash or cheque at any Australia Post Office or Australia Post Agency. BPay: Contact your participating financial institution to make this payment from your cheque, savings or credit account. Please quote the Biller Code 7278 and the reference number shown on the front of the Rates Notice. strong>BPay View: Register with your internet banker if you wish to use this option and receive your notices electronically. BPoint: Visit Rates/Water Payment Online and follow the links to pay with MasterCard or Visa. Please quote Biller Code 7278 and the reference number shown on the front of the Rates Notice. Pay by Phone: Call 1300 276 468 any time to pay with MasterCard or Visa. Please quote the Biller Code 7278 and the reference number on the front of the Rates Notice. Take control of your bills with - With BPAY View, you can have your Banana Shire Council rate notice delivered directly to your online banking on the issue date - so you can view, pay automatically or with a single click, knowing that the bill will be securely stored in one place. Once you've signed up with BPAY View, you'll receive a convenient email, SMS or bank message* when it's time to pay your bill. You can then pay the bill with one click^, schedule a later payment and even set up automatic payment for future bills**. How easy is that? *Reminder options may differ between financial institutions. ^The process may vary slightly between financial institutions. **Scheduled payments are subject to systems and funds availability. Just as Federal and State Governments collect taxes to pay for their programs, Council collects rates to provide the essential services and infrastructure to the community. These services include but are not limited to roads, drainage, water and sewerage infrastructure, waste collection facilities and public facilities such as parks and libraries. Further information in relation to who sets rates, how they are decided, and what types of rates and charges exist in Queensland please follow this link to the Department of Infrastructure, Local Government and Planning website. General Rates are calculated on the unimproved value (UV) or site value (SV) of your property. The valuation of your property is set and issued by the Department of Natural Resources and Mines. The valuation is multiplied by the rate in the dollar set by Council. To calculate your general rates simply multiply your valuation by your rate in the dollar and divide by 100. Example: Valuation = $100,000 multiplied by 2.038c divided by 100 = $2,038. This figure would then be divided by 2 to give the half yearly general rate of $1,019. NOTE: A valuation decrease or increase does not mean that rates will also decrease or increase by the same amount will have an impact on the amount of rates you pay. Learn more about statuatory land valuations in Queensland by following this link to the State Government website. How does Banana Shire Council calculate all the other rates and charges? Rates and charges are determined at Council's Budget Meeting. Minutes to this meeting will have resolutions to the respective charges that will be levied on Rate Notices. Follow the link to the minutes for the 2018/19 Budget. What is the State Emergency Management Levy? The State Emergency Management Levy is NOT a Banana Shire Council charge. Councils throughout Queensland collect and remit the State Emergency Management Levy on behalf of the State Government. Enquiries regarding the Emergency Management Levy may be made on 13 QGOV (13 74 68) or via the State Government's website www.qfes.qld.gov.au. Yes, Council has a system that allows you to pay your rates in advance. This allows you to pay all or part of your full years rates in advance. However, please be aware that your water consumption charges will be dependent on the amount of water that you use. If you elect to pay all or part of your rates in advance, you are advised that it is your responsibility to ensure that an adequate amount has been paid to allow the prompt payment discount to be granted. Please contact Council's Rates Section for up to date information on the balance of your pre-payments. Discount of 10% will be allowed on all rates and charges (excluding all water consumption charges, Baralaba and Taroom raw water consumption charges, Rural Fire Levies and Emergency Management Levies, the Taroom Rural Water connection Special Charge & Gates and Grids charge) provided payment of the full amount due, including arrears and interest accrued daily (if any) is paid on or before the due date shown on the rate notice. Having issues with the mail getting to you? Are you travelling within Australia or abroad? Council can now send your Rate Notice to you electronically - anytime, anywhere to your email account. 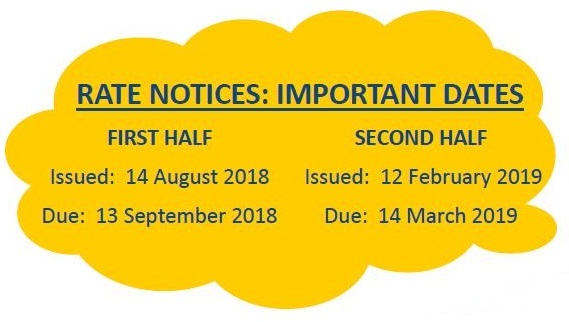 Application forms can be obtained from Banana Shire Council customer service centres or via downloading the Request to Receive Electronic Rate Notices form. 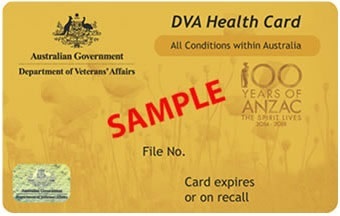 Must be a holder of a Queensland Pension Concession Card or a Veteran's Affairs Gold Card (Senior Card holders are not eligible). Must be the owner or life tenant (created by a valid Will) of the property which is your principal place of residence and legally responsible for paying local government rates and charges levied. Subsidies can only be granted on the principal of residence. Application forms can be obtained from Banana Shire Council customer service centres or via this link Application for Pensioner Rate Remission Form. The Queensland Fire and Emergency Services also allows a 20% discount on the Emergency Management Levy. Note also that the pensioner rate rebate can only be granted on this, and future rate accounts. Pensioner rate rebates are not retrospective. Further information on eligibility is available on the Department of Human Services website. If you are unable to pay the amount by the due date, please contact us on (07) 4992 9500 to make arrangements to pay your rates. Please note that interest will begin to accrue at the rate of 11%p.a. calculated daily on any amounts unpaid from the first day following the due date. Property owners who are experiencing difficulty paying rates in full on or before due date have an opportunity to complete a rates payment commitment to ensure debt recovery action does not commence. It is the ratepayers responsibility to ensure that Council has the correct mailing address for all notices. Change of address notification must be in writing and can be forwarded to Council via letter, fax, email, completing the tear-off slip attached to the rate notice or by completing and returning a Change of Address Form. Failure to comply with this requirement may result in notices being posted to the wrong address. All changes must be received in writing. Address changes cannot be accepted over the telephone. Financial help and advice for people who are struggling with finances, including information about budgeting and financial support.